Google is so powerful that it could be easy to forget there are other search engines to include in your pay per click (PPC) and search engine optimisation (SEO) strategies. Google’s share of the global search market is a dominant 73%. However, last month Bing (and Yahoo! ), owned by Microsoft, had a share of more than 12.5%. Bing’s share of the paid search market has also been growing steadily for the last six years. So, while Bing is still a relatively small player, one very good reason to include it in your plans is the size of the opportunity you could be missing. We make a staggering 1.2 trillion searches per year. Even with its current share of this massive market, Bing can, therefore, give you access to some 1.5billion new opportunities. Since so many SEO strategies focus on Google, you can gain an advantage over your competitors by optimising your site for Bing as well. When Google changes its algorithms your organic search results can be affected. When you have also optimised your site for Bing you will still have a healthy alternative source of search results while you respond to the latest Google variations. Your approach can include making the most of your social media presence and making sure that your original content is rich in images, audio, videos and answers to questions. Three-quarters of Bing users are over 35. Over half also have a relatively high income and are more likely to buy online. So, depending on your target audience, Bing could provide really good opportunities SEO and PPC campaigns. You are likely to spend less on your Bing Ads campaigns because there are fewer advertisers competing for your keywords. While your Bing Ads cost per click (CPC) is lower, the traffic will be lower too. On the other hand, conversion rates are higher in many cases. You will need to decide how well the trade-off between volume and return on investment works for you. While Google has the majority of the search market, Bing Ads can complement your Google AdWords pay per click (PPC) campaigns. 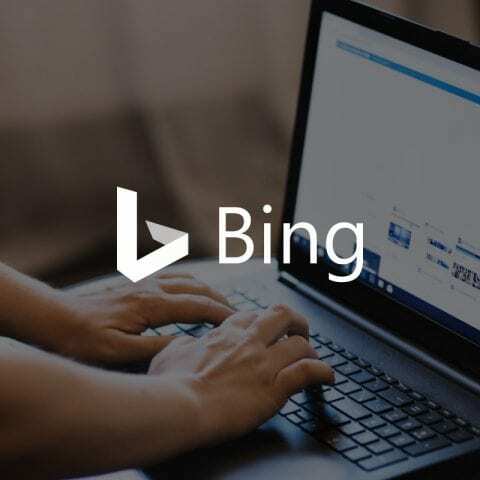 Bing has improved its usability and it’s now fairly straightforward to import your Google AdWords campaigns into Bing Ads. Then you can directly compare performance. However, according to Microsoft, more than a quarter of clicks on Bing Ads come from searches that are unique to the platform. So, it’s also a good idea to modify your approach using optimisation tools and Bing data to see what works best in this environment. Bing also has some interesting features that aren’t offered on Google. So, for example, you can target specific device types and operating systems. You can even choose not to display Bing Ads on desktops if mobile users are your main audience. Another good reason to make your strategy Bing-friendly is the growing popularity of voice searches. It’s predicted that half of all searches will be voice searches by 2020. Bing is the power behind Apple’s Siri iOS search function and iOS Spotlight for desktop searches. It’s also used for Cortana, Microsoft’s equivalent to Siri, Yahoo! Search and Amazon’s smart home speaker, Echo. Of course, Google hasn’t missed this trend. Its own Google Home voice-activated smart speaker, launched in Europe last year, has already claimed one-third of European smart speaker sales. So, optimising for voice search can only enhance your overall digital strategy. These are just a few serious reasons why you should add Bing to your marketing mix ASAP. Get in touch to find out more about how you can enhance your PPC and SEO strategies for better Bing performance.